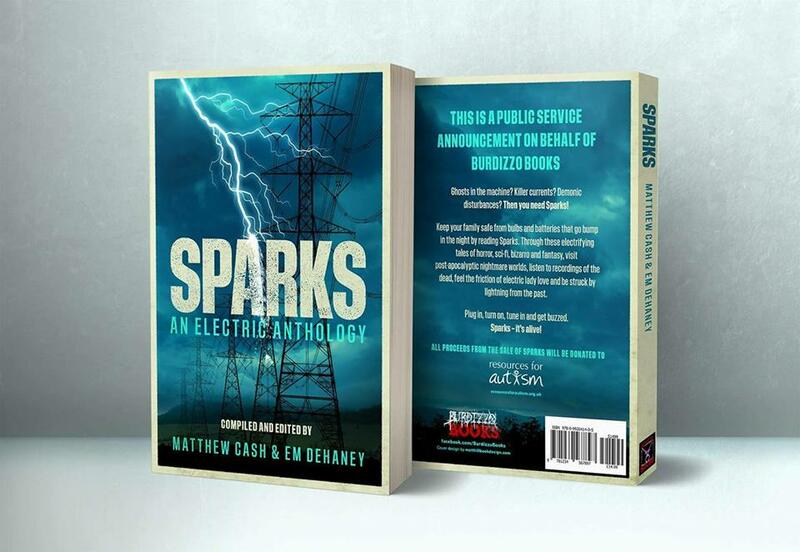 Yesterday saw the release party for Sparks at Southcart Books in Walsall. If you haven't been following my facebook page, Sparks is an electricity themed horror anthology where all the proceeds will be going to Resources for Autism, an incredibly worthy cause. It's available on Amazon (click here for the link) and features a veritable wealth of talent including Emma Dehaney, Matthew Cash, Mark Cassell, Calum Chambers, Pippa Bailey, Betty Breen, Peter Germany, Lex Jones, Christopher Law, Dani Brown, G.H. Finn, C.H. Baum, Ash Hartwell and yours truly. It was a great day; there were readings, and also - crucially - sausage rolls and twiglets. Here's wishing every success to the book, and that it does some good for a great cause. The reviews coming in are really good, and Matthew and Emma should be very proud of themselves for having put together such a great collection. I read the opening segments from my contribution to the book - a twisted little tale called Power Trip. Said video can be found by clicking here, should you so wish!